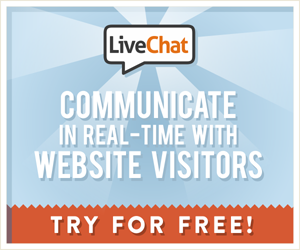 Need a great chat tool for your website? If you are looking for a great chat tool to help users on your website have quick and easy access to a sales or support person, we really like the Live Chat Inc tool. With the Team version, their mid-priced option that costs $33 per month, you can have up to six agents using the dashboard and available to help users. The tool is surprisingly easy to set up and launch in the WordPress environment. It took us less than 30 minutes to sign up, embed the code and even configure the tool so the colors and content reflect the respective brand of the website. 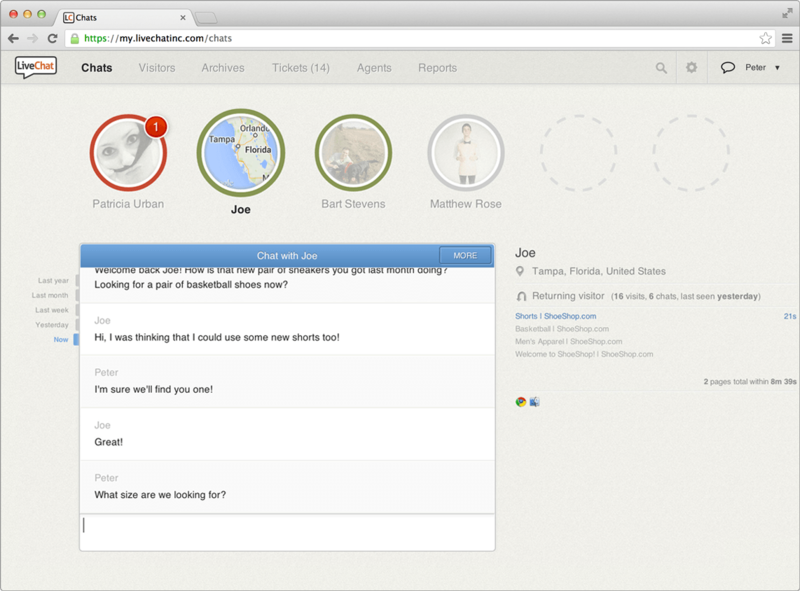 See the client dashboard below and you’ll see how the agent interacts with a user. The agent even can see the location of the user based on IP address. Lots of customization options are available. We found this tool because it’s the tool of choice for WP Engine, the managed WordPress hosting company in Austin, another company of which we are big fans. More good news: You can do a free trial with no strings attached and no credit card. Full disclosure … this link will get you the 30-day free trial and it’s our affiliate link, but we wouldn’t recommend it if we didn’t love this. We promise. Woody Creative designed the logo and the website for Crossroads at Panadero Ranch, a wonderful non-profit that shares the great outdoors and the word of God with deserving young boys. The Crossroads Ministry experience includes a weekend on Panadero Ranch, where the boys join peers and adult mentors for a weekend of camping, hunting and time for discussion and reflection around the campfire. Most of the boys have never experienced hunting and many have never been camping. We’ve been creating a lot of logos lately. A couple are below. You can see a whole bunch of logos on the Logo Design page. Congratulations to our client, medical tools and instruments company Genesys Spine, based in Austin, Texas, for being named to the Inc. 5000 List of America’s Fastest-Growing Private Companies. Their three-year revenue growth rate of a whopping 334 percent put them at No. 1,296 out of 5,000 on the 33rd-annual list. Not too shabby. See the article in the Austin Business Journal. Genesys Spine makes cool stuff, like this. Our clients often ask us, “Can you recommend a cheap photo service?” The answer is yes. But while a cheap photo service doesn’t always translate to “great quality,” this one is an exception. It’s called Dollar Photo Club, and the photos really do cost, you guessed it, $1. You will pay an up-front “membership fee” of $99, but that fee instantly gives you an account stocked with 99 credits, so you essentially are buying 99 one-dollar photos. We’re not here to sell you a bunch of crummy third-party marketing services, but when we come across a marketing resource that really is a rare and excellent value, we have to share it. Full disclosure is that, yes, we’re signed up (proudly) as an affiliate for these guys. We think the quality of the photos and vector illustrations is as good as many of the other services that often charge hundreds of dollars per image. So if you want a cheap photo service or cheap vector art that is still pretty darn nice, check out Dollar Photo Club and we think you’ll be thrilled. Our awesome, award-winning technology client, Cecropia Solutions, the builders of the Map My Fitness suite of mobile apps (with 23 million freakin’ users), asked us to create a cool postcard design to show how neat-o they are when they are visiting and recruiting and presenting at nearby universities. So we made this little baby. Kind of makes us want to go find some white water. Looking for a cool postcard design? Call us. We do love the “TV-like quality” of video we get from our Nikon D5200, and the amazing audio from our Rode VideoMic Pro. Here’s a short clip reel that shows off the quality that you can get from this package. Yes, you can make great video on a budget. Rumor has it that several episodes of TV shows have been filmed using this series of DSLR cameras, just to demonstrate that the camera is capable of producing high-quality video visuals. And, be sure to check out this great video on how to make great video on a budget. Highly recommend it.